Block type x-mas tree designed for two or more x-mass tree valves in same body block. Can be implemented correspondingly in the most different configurations, according to customer specifications. 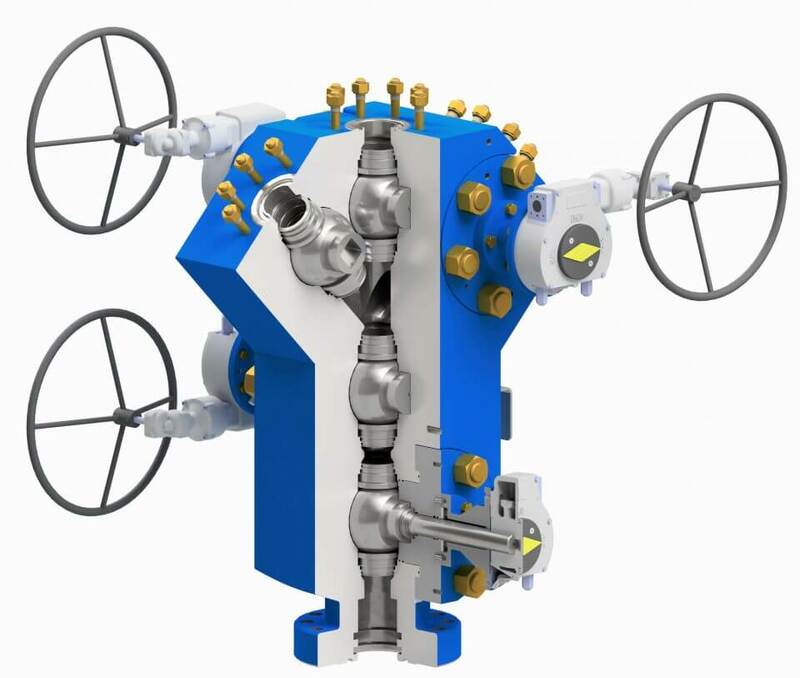 Besides compact design and the use of forged steels, combinations of proven ball valves and gate valves are possible, or can be equipped completely with ball valves and gate valves. 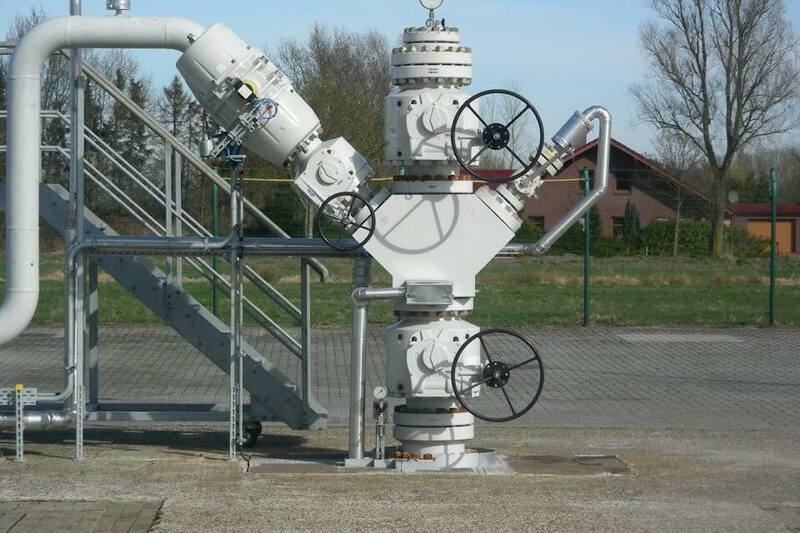 In order to facilitate operability of manual valves, drives, if used, can also be mounted on the backside.